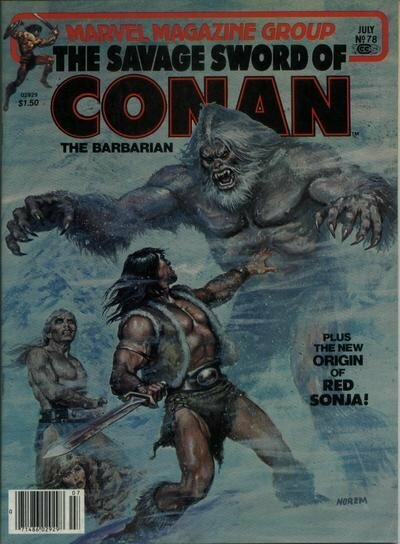 Click Here To See Savage Sword of Conan #78! 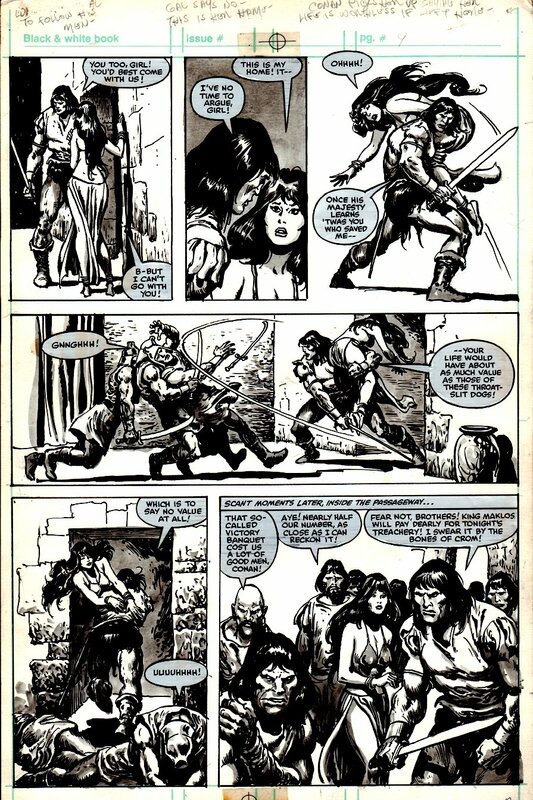 Check out this very nice Bronze Age Conan action page, which was penciled by the great John Buscema, and inked by the great Ernie Chan, from the story titled: "Demons of the Firelight!" Conan appears in all 6 great wash toned panels! Conan is a mercenary in the employ of King Maklos of Turbin-D'Qhat. The king sees Conan as a potential threat and makes a failed attempt at killing Conan and the other mercenaries. They flee and start a rebellion against the king. Meanwhile, Gabrelle Pok, the alchemist, plots to gain half of the kingdom. In his cellar, he has reanimated a super-strong monster made from body parts. He has also hired the dancer Trelinka to seduce Conan and drug him so that his men will think that he has gone insane and leave him. A great opportunity here to own a nice JOHN BUSCEMA Bronze Age Conan page! ALL art on our website (including this one) are able to be purchased with VERY fair time payments, and trades are always considered towards "ANY" art on our website! Just send us an email to mikeburkey@aol.com and we can try to work something out.